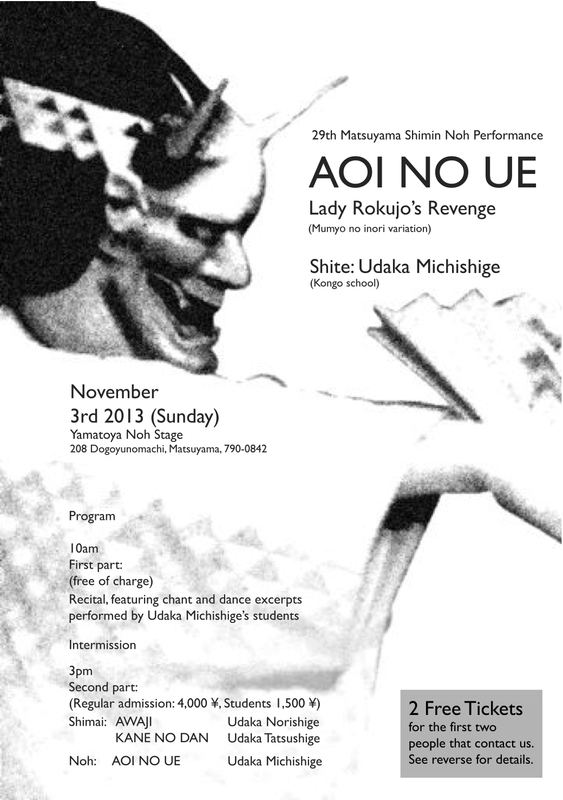 This coming Sunday, 23rd of October Udaka Michishige is going to perform the Noh Ominameshi 女郎花 at the Kongo Noh Theatre in Kyoto. Here is a summary of the play. A Traveling Priest comes to Mt. Otoko on the western outskirts of the capital in the autumn and seeing that the area is covered with beautiful ominaeshi or ominameshi (a yellow-flowered valerian), one of the seven autumn herbs, he recalls poetic references to it and decides to pick one. Just as he is about to do so he is stopped by an Old Man. The Old Man explains that he is the guardian of the flowers. The Priest wonders that this particular flower is protected. Exchanges of poetic references with the Old Man convince the Priest that he is a man of feeling. The Old Man then takes the Priest to the Iwashimizu Hachiman Shrine where he shows him two graves which he describes as being that of a man and a woman. The woman’s grave is covered with ominameshi and the Old Man reveals that they were husband, Ono no Yorikaze, a man of the area of Mt. Otoko, and wife, a woman from the Capital and that there is a story behind their deaths. Entreating the Priest to pray for their souls, the Old Man disappears. 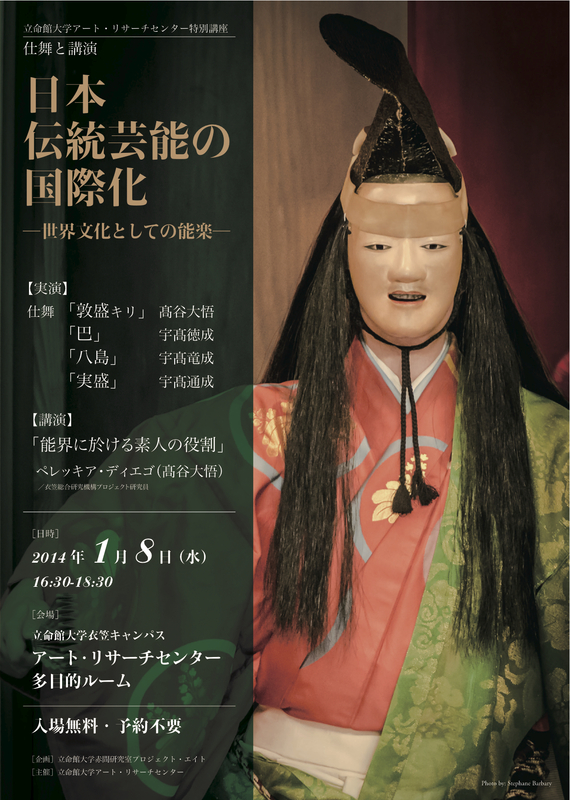 Udaka Michishige’s Noh mask atelier will open to guest observers on January 9th, 16th and 23rd from 14:00 to 17:00 or from 18:00 to 21:00. 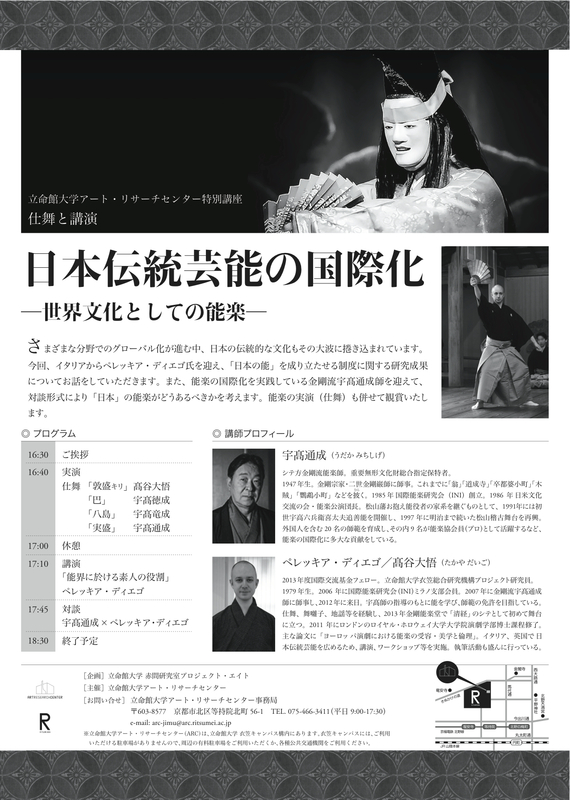 This is a great opportunity for those interested in masks and in the mask-making process, as well as in the use of the masks in actual performance: Michishige is the only Noh actor who is also a skilled mask carver, regularly using his own masks on stage. In 2010, Michishige published the photobook The secrets of Noh Masks (Kodansha/Oxford) with photographer Shuichi Yamagata. I have posted more about Michishige’s activities as mask carver here. To reserve a place, or for more information, please feel free to contact me here.